Mexico are first on the table with three points as they won their first game by 3-1 against Uruguay, Venezuela are second with three points as well as they also won their first match by 1-0 against Jamaica who is third on the table with 0 points and lastly we have Uruguay with 0 points as well and with a -2 goal difference. 10th June 2016 at 05:00 (IST). 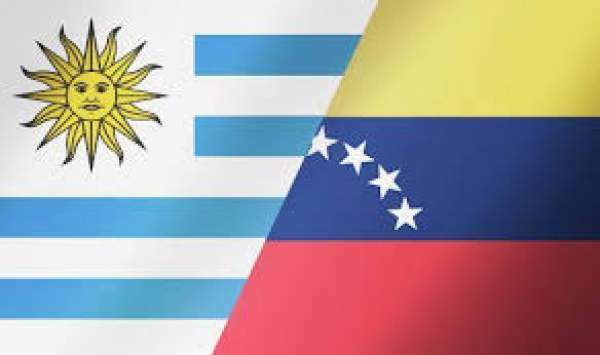 Uruguay did not have the start they must have anticipated at the Copa America as they lost their first game against Mexico by 3-1. The game started off in a appalling way for Uruguay as they conceded an own goal in the 4th minute of the match as Alvaro Pereira heads the ball into his own goal, after that Guardado picked up the first booking, followed by Vecino’s yellow card in the 27th minute, then things got from bad to worse for Uruguay as Vecino got his second yellow with a badly timed kick, kicking the player and received a second yellow and was sent off. After the first 45 minutes Alvaro Gonzalez replaced Lodeiro, then in the 55th minute, Aquino is replaced for Lozano. In the 59th minute, Gimenez is given a yellow for his tackle on Chicharito and then in the 60th minute Rolan is superseded by Abel Hernandez and then in the 73rd minute Guardado receives a second yellow card and is sent off. In the 74th minute Godin equalized for Uruguay and with two late goals from Mexico from Marquez in the 85th minute and then in the 92nd minute from Herrera, Mexico won the game by 3-1. Venezuela played against Jamaica and won the game by 0-1 as Josef Martinez scored the only goal of the match in the 15th minute. Venezuela dominated the game as they had 63% possession and Jamaica had 37%, Venezuela had 14 shots out of which three were on target whereas Jamaica had ten shots out of which three were on target. Muslera, Pereira, Gimenez, Godin, Pereira, Sanchez, Vecino, Rios, Rolan, Lodeiro, Cavani. Hernandez, Rosales, Angel, Vizarrondo, Feltscher, Rincon, Figuera, Guerra, Martinez, Seijas, Rondon.